The book shows experienced administrators how to modify, customize, and extend popular open source security tools such as Nikto, Ettercap, and Nessus. This concise, high-end guide discusses the common customizations and extensions for these tools, then shows you how to write even more specialized attack and penetration reviews that are suited to your unique network environment. 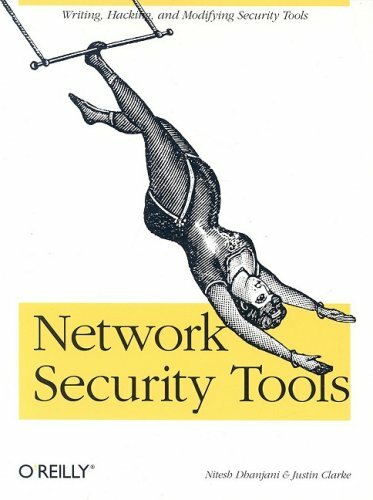 It also explains how tools like port scanners, packet injectors, network sniffers, and web assessment tools function. This guide reviews the main security risks of deploying Intranets and Extranets and will discuss the five fundamental goals of a security system: privacy, authentication, content integrity, non-repudiation, and ease of use. The report focuses on policy issues in three areas: 1) national cryptography policy, including federal information processing standards; 2)guidance on safeguarding unclassified information in federal agencies; 3)legal issues and information security.